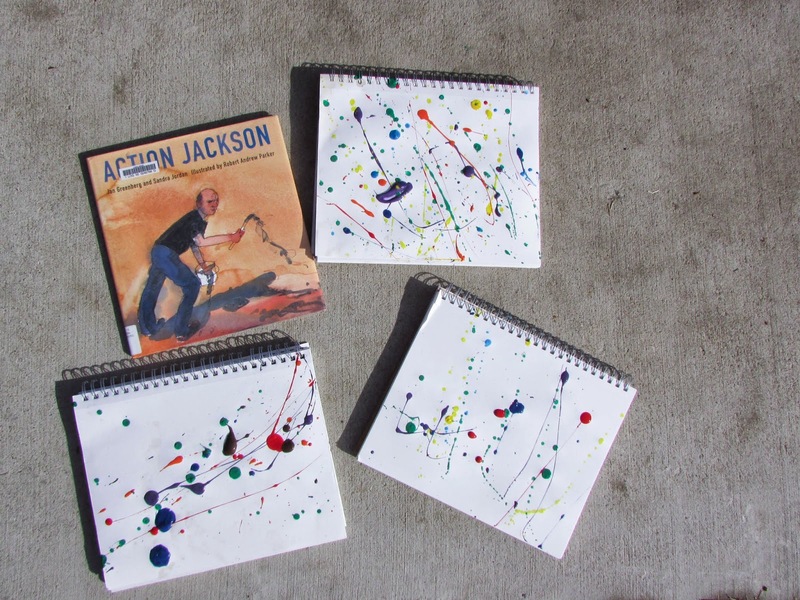 This week we learned about Jackson Pollock and abstract expressionism. We began by reading Action Jackson. I love using picture books as a gentle introduction to topics and the lives of important people. 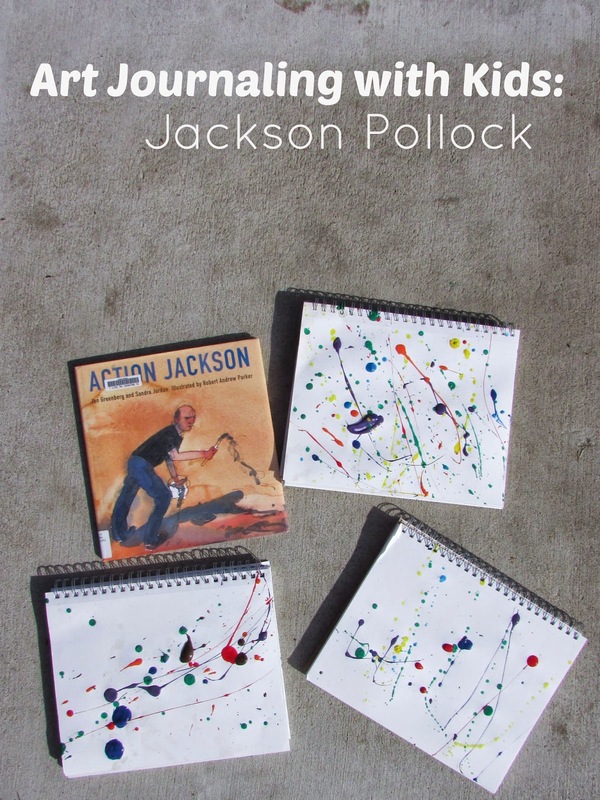 We briefly discussed how Pollock's artwork made us feel and speculated on what he was feeling as he created it. We then went outside to do the actual project. 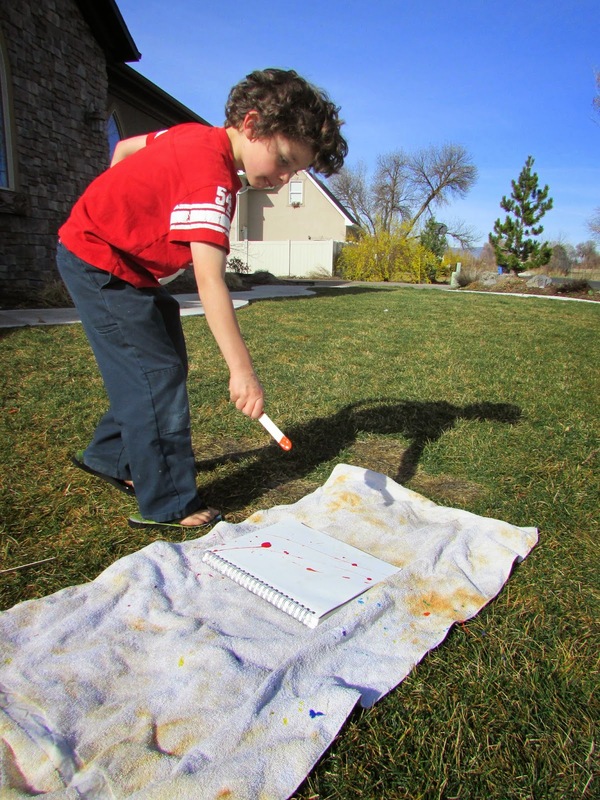 Paint-flinging is not an indoor project for us :) We placed our journals on an old towel because the grass was a little wet. 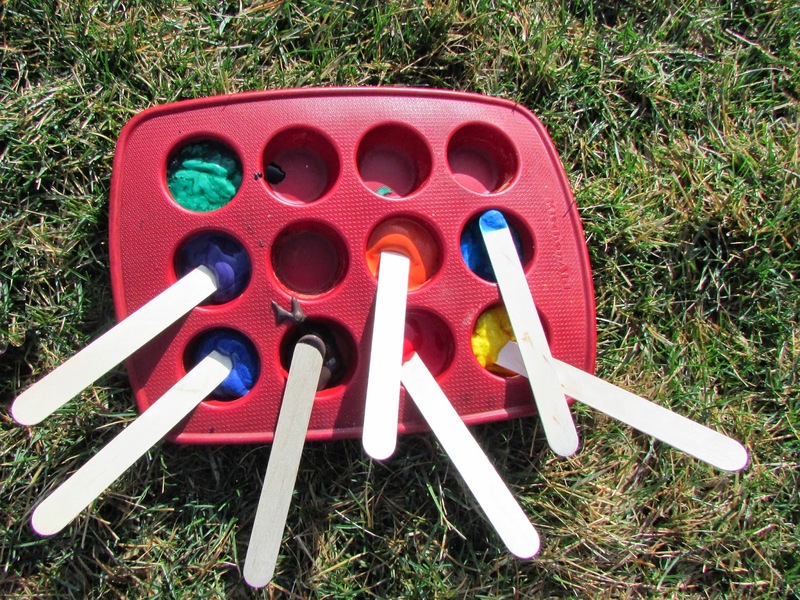 I then squirted some tempera paint into a small muffin tin and placed one popsicle stick in each color. 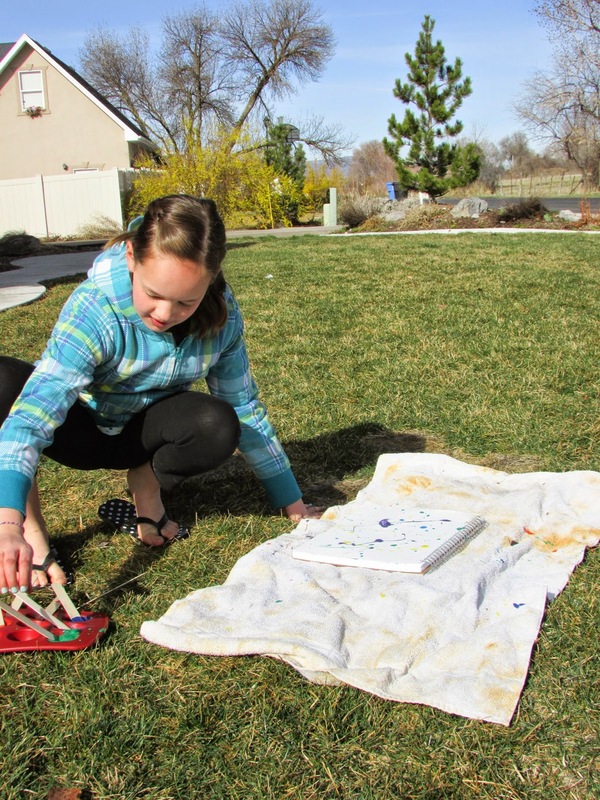 I went first and modeled a few different paint-flinging techniques, and then each of the kids took a turn. As you can imagine, this experience was quite a hit. 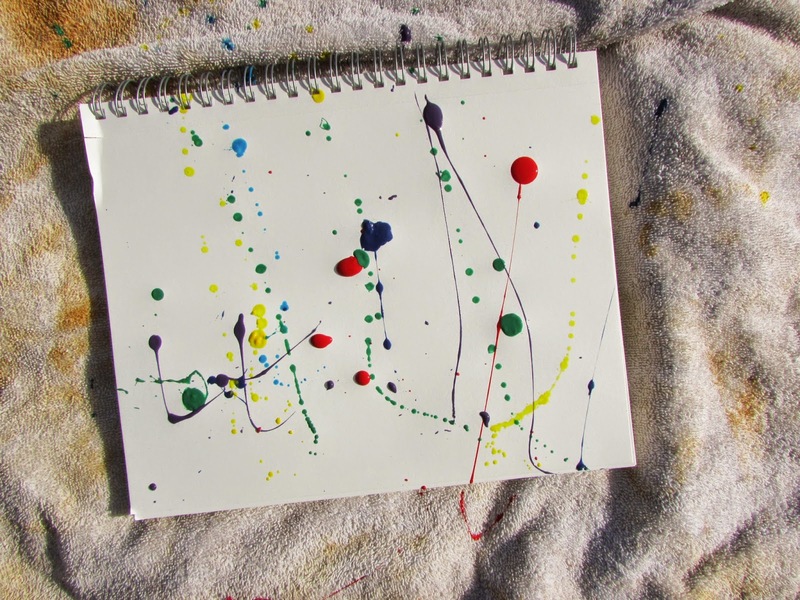 We all loved experimenting with the various colors and the splattering shapes we created. Note: these took quite a while to dry since some of the blobs were pretty thick. We left our books outside for most of the day before they were done drying.